Mary Eve Adeline Escoto was crowned Miss Asia Global 2017. 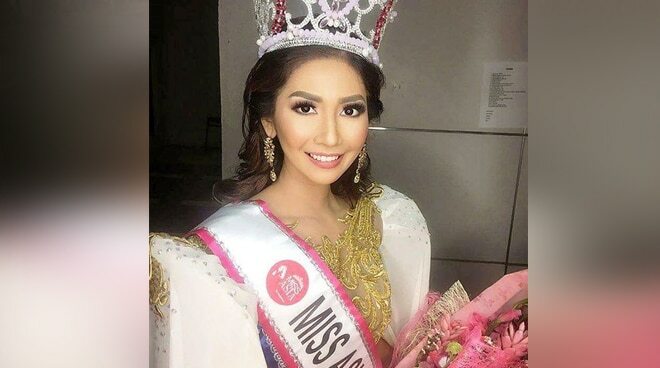 Mary Eve Adeline Escoto was crowned Miss Asia Global 2017 last November 21 in Kerala, India. The 23-year-old physical therapist is a native of Guimaras, Ilo-Ilo. This is a back-to-back win for the Philippines, with Miss Asia Global 2016 Trixia Marie Marana relinquishing her crown to a fellow Pinay. Enthusiasts in the country are positive about Filipinas winning in the international pageant scene this year, with Karen Ebasco winning the Miss Earth crown to kick-off the 2017 pageant season. Teresita ‘Winwyn’ Marquez followed suit by taking home the Reina Hispanoamericana crown, which the country joined for the first time. Rachel Peters, the Philippines bet to the Miss Universe pageant will be competing for the crown this November 27 in Las Vegas, Nevada.